sheet as you do so. including videos on energy and electricity production. information on its page " How Hydro Power Works." much, and the type of electrical energy generated in Canada. Scroll to page five. generation in Canada. Click here to access the ﻿CEA's Data World ﻿page. 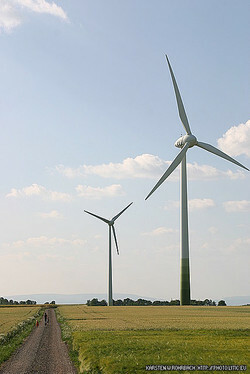 Map of Wind Generating Facilities in Canada http://canwea.ca/wind-energy/installed-capacity/. This interactive PV map from Natural Resources Canada. BC Hydro's energy storage project in Field a Canadian First. The best way to find articles from specific sources online is to conduct a site specific search of various reputable organisations. Just type in your search query. Then tell the Google Bots to do their magic by following the query with site:. and the URL of the news source. These searches will help you get a well rounded understanding of the accomplishments and challenges connected to the electrical generating source you are studying. Find copyright friendly images on Flickr using the Creative Commons filter here. Further Reading"How does the production of renewables contribute to climate change?" Click here to read the article on the Canadian Geographic website project Energy IQ. BC Hydro offers a web page outlining the options for electrical energy in B.C. Scroll down the page to see a list titled "